Can my Car Haul an RV or Trailer? Yes, but only if the combined weight of the RV/Trailer does not exceed the towing vehicles GVWR (Gross Vehicle Weight Rating), which is the total weight your vehicle can tow. A good rule of thumb is to stay under 80% of your max towing capacity. The weight of the RV/Trailer is also named GVWR and can be found on our website under the vehicle specifications. 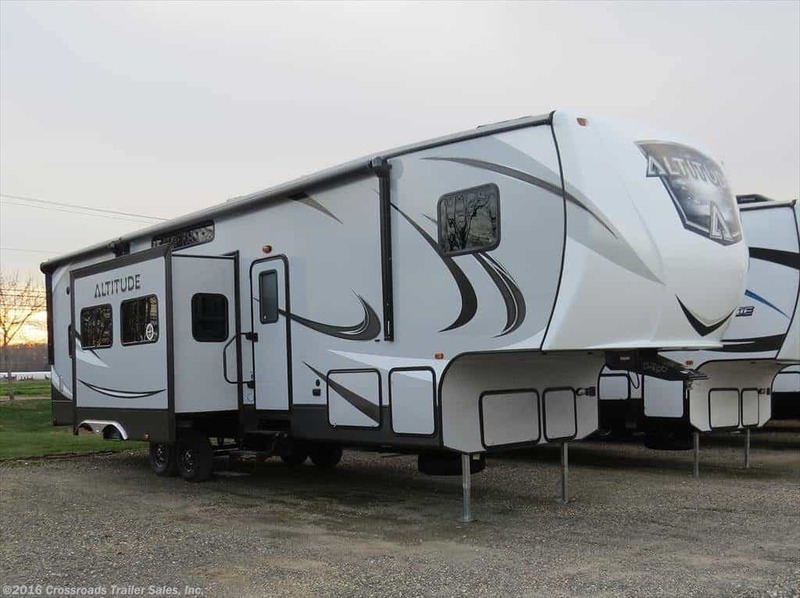 Shop our large inventory using our RV Search feature! Where can I find my Vehicles Towing Capacity? Start your quest to find the right trailer for your vehicle in the glove box, where most vehicle owner’s manuals are kept. Look for the “Vehicle Towing Capacity” in the manual. This is the manufacturer’s specification of the weight the vehicle is designed to tow. 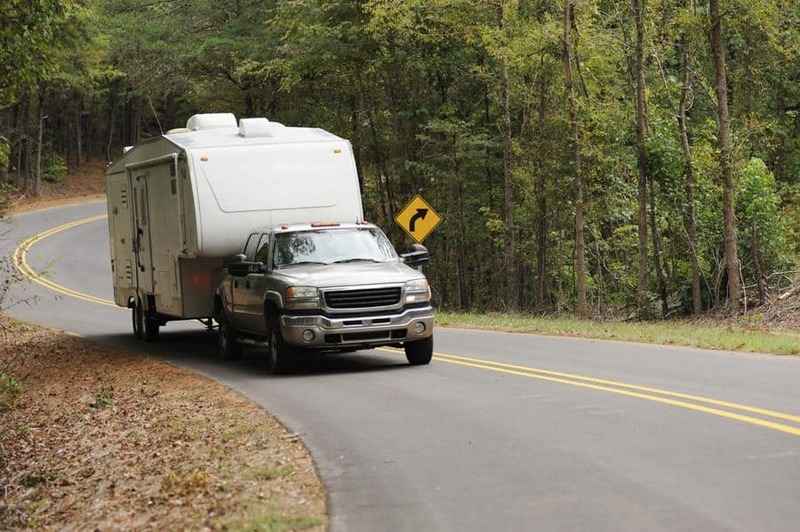 Choosing a trailer that exceeds your vehicle’s towing capacity will stress the vehicle’s engine, transmission and brakes beyond their design limits. While you’re cruising the vehicle owner’s manual, take note of the Gross Vehicle Weight (GVW). The GVW is the actual weight of your car or truck. Next look for the Gross Vehicle Weight Rating or GVWR. The GVWR is the sum of the vehicles weight and the maximum load it can safely carry. Some smaller, lighter cars are not designed to tow at all, and that will be clearly stated in the owner’s manual. If you can’t find any of this information or you’d like to talk to an expert, fill out our contact form and/or give us a call! Where can I find the weight of a RV/Trailer? As you continue your quest for a trailer you can tow with your vehicle, search by the numbers. First, look for the “Gross Trailer Weight” (GTW). The GTW is what the trailer will weigh under fully-loaded conditions, including your gear, food and filled fresh and grey water tanks. On larger RVs, look for the Gross Vehicle Weight Rating, the maximum the camper and its load are allowed to carry. You may also see a “Base Curb Weight” (BCW) number while trailer shopping. The BCW is the weight of the trailer as it is delivered, with factory equipment and all required lubricants. Some dealers may also advertise an RV’s “Dry Weight” or unloaded, not fully equipped weight. These are nice-to-know numbers, but should not factor into your purchasing decision, as you will never tow a completely empty trailer or RV. Unless the trailer you’re considering is homemade, it will have a Vehicle Identification Number, or VIN, plate installed somewhere. The plate will include the trailer’s serial number as well as the trailer’s loaded and unloaded weights. An RV’s specification sheet will provide its GVWR. Tongue Weight (TW) is the downward pressure that the tongue of a fully loaded trailer puts on the hitch ball on your vehicle. In a properly loaded trailer, the TW should be about 10 percent of the loaded weight of the trailer. The Tongue Weight adds to the overall Gross Vehicle Weight of your vehicle. When you add the weight of your vehicle, GVW — including the tongue weight — together with the GTW of the trailer or GVWR of the RV you’re considering, make sure the result does not exceed your vehicle’s Gross Combination Weight Rating. This is the maximum combined weight that your car or truck can handle for safe operation. In general, a mid-size car and some family mini vans or smaller SUVs may have the capacity to tow up to 3,500 lbs, or a small, lightweight camper, pop-up trailer, very small boat on a trailer or a utility trailer. Small to mid-sized pick-ups and some sturdier SUVs, depending on the make and model, may have the capacity to tow a bumper-pulled family camper, boat trailer or small toy hauler. All-Wheel Drive and 4-Wheel Drive vehicles will have a greater towing capacity than comparable 2-Wheel Drive vehicle. 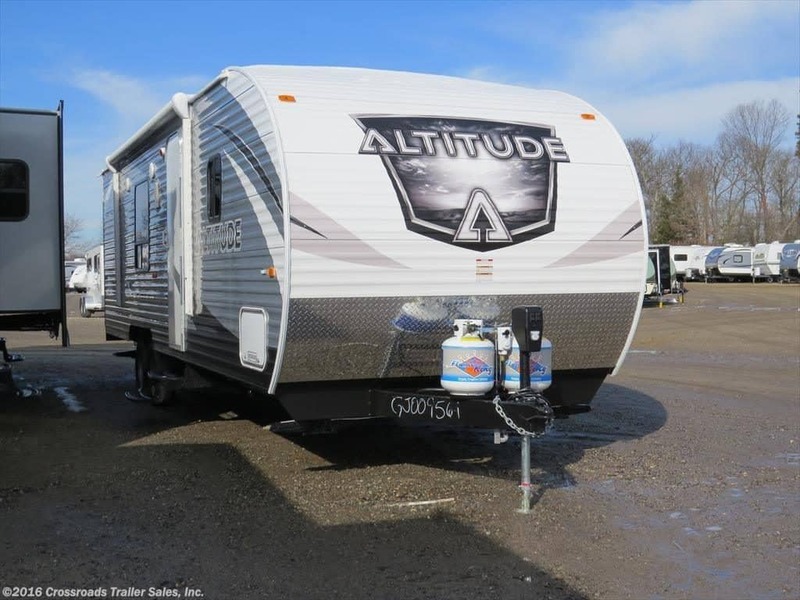 Many larger travel trailers, fifth wheels and toy haulers can have a gross vehicle weight of more than 12,000 lbs fully loaded and require a heavier duty truck, equipped for towing. It’s important to do the math before shopping for a trailer or RV. Trying to tow more than your vehicle is rated for can lead to dangerous and expensive problems including brake failure, blown tires, a broken suspension or overheated transmission. 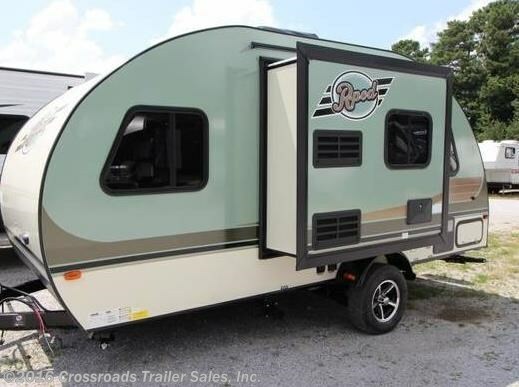 Rely on the trusted professionals at Crossroads Trailer Sales to assist you in finding a travel trailer that your vehicle can safely tow and enjoy for many seasons. This entry was posted in RV Advice, Uncategorized by admin. Bookmark the permalink.